The Kingston Chamber Choir in collaboration with The Dan School of Drama and Music at Queen's University presents The Canadian Chamber Choir under the direction of Dr. Julia Davids with their performance of 'Seasons of Life and Landscape' - a concert of all Canadian music, featuring Jeff Reilly, bass clarinet. 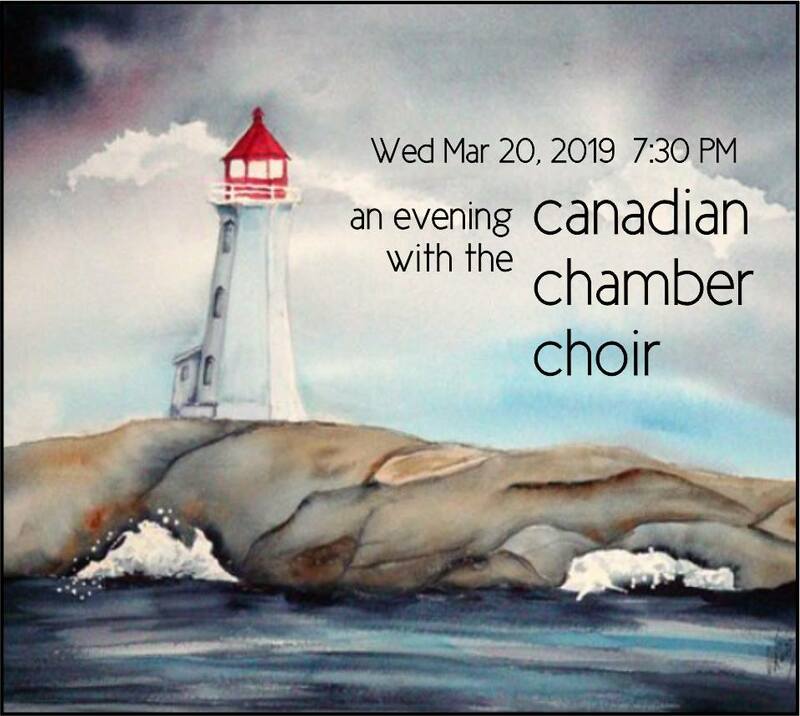 The evening will include solo and collaborative performances by The Canadian Chamber Choir, Kingston Chamber Choir, and the Polyhymnia Vocal Ensemble of Queen's University. Repertoire to include Laura Hawley's "In Song," and music by Imant Raminsh, Allan Bevan, and others.